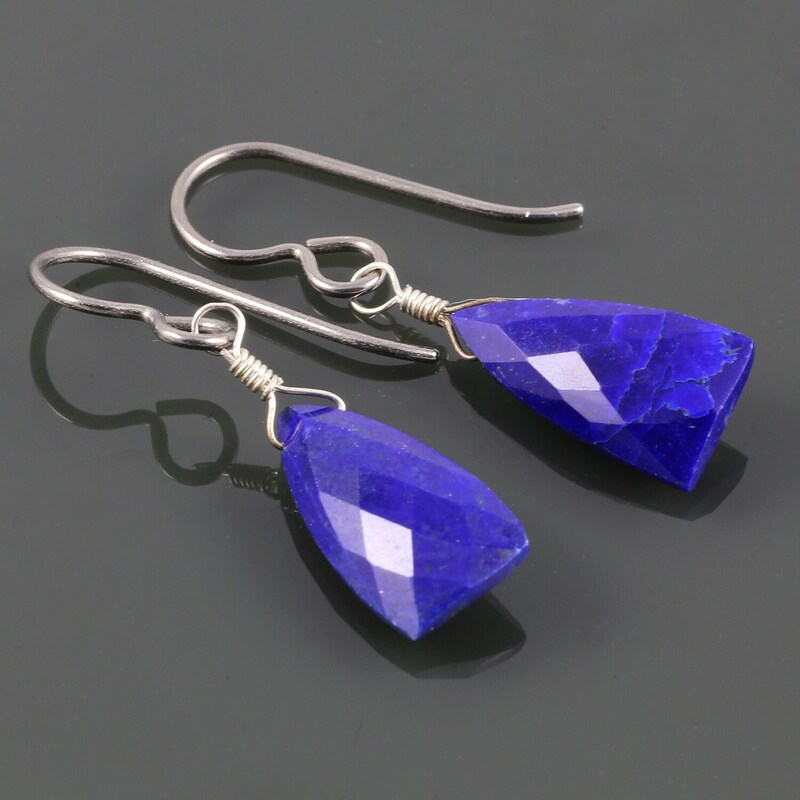 These earrings each have a single lapis lazuli gemstone. The lapis lazuli is an opaque cobalt blue color in a unique triangular cut. The stones measure about 8x15mm. These earrings have hypoallergenic titanium ear wires, and they measure about 1-3/16 inches (3.1cm) in length from the tops of the ear wires. I can swap out the titanium ear wires shown for sterling silver hooks or sterling silver lever back style ear wires. Just make your selection when you check out.